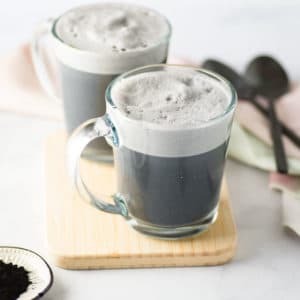 This activated charcoal latte is all you need to detox and feel great. Activated charcoal has amazing benefits for the inside and out and when paired with almond milk, makes a delicious and healthy beverage! In small pot on medium heat, add all ingredients. Whisk vigorously until milk begins to froth. Add to mug and enjoy warm.